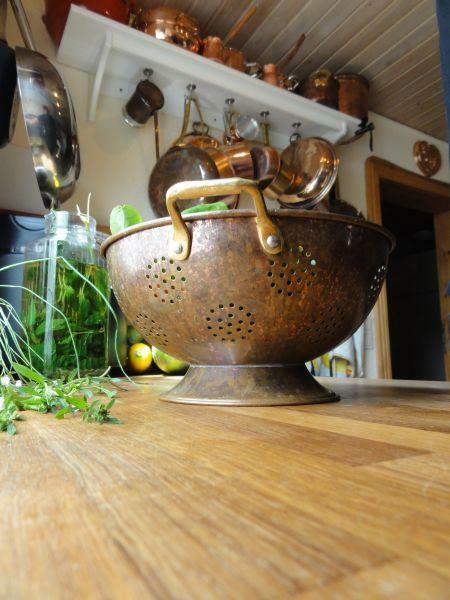 All kinds of articles made of copper for the kitchen and household - new from our coppersmith´s. Of course, there are many more copper articles, not only those from our own forge. In this category we have compiled all the miscellaneous accessories and copper parts which you might need for cooking and living. Browsing around here is sure to be fun and you are welcome to have a look anytime. The articles change and the selection grows constantly! Copper is beneficial to human health: It strengthens our immune system!